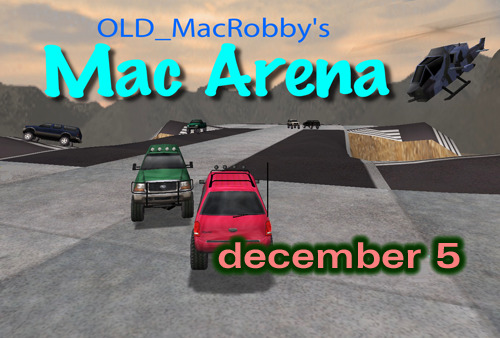 Sunday's 4x4 Evo RUMBLE track was "OLD_MacRobby's MacArena" by OLD_Jammer. When: Sundays at 500pm Est / 17:00. We had 13 rumblers today. Please checkout OLD_MacRobby's page for Official 4x4 Evo Rumbling tournament information.